Vimperk → News → We are looking for witnesses of a life at the Vimperk Castle! 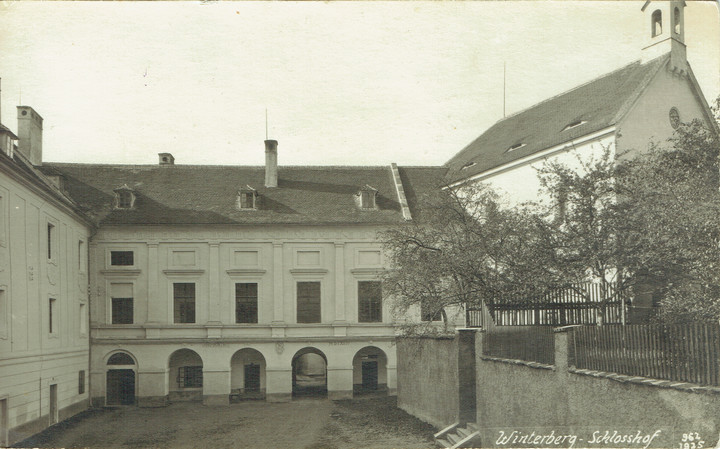 From the middle of a 19th century until 1995 the Vimperk Castle was used as flats and offices. At first it served as a centre for the Schwarzenberg manor estate, later for the South Bohemian State Forests and finally for the Šumava National Park. Many tenants lived at the castle during these times; however we have only pitiful number of memories about using different parts of the castle. Did you, your parents or grandparents live or work at the castle? Do you remember where the flat was situated, what were in particular rooms, do you remember names of the other tenants or anything else? Do you have even a tiny memory? Or do you even own a photo of the castle? If so, please contact the castle manager Mr. Vojtěch Brož on email broz.vojtech@npu.cz or cell phone +420 778 700 076. We will be very grateful for any help in reconstructing the life at the Vimperk Castle in during the 20th century. It takes a form of a friendly conversation. In case that castle is visited by someone who worked or lived here (or just visited his/her grandparents living here when he/she was a child), the castle manager Mr. Brož will take him to the places where was the flat, the office or to the other places he/she remembers. We will ask him/her to show us even details like location of a stove - every piece of information is valuable for us. All the information we note to the castle plans. This is a way how we get a picture about life at the Vimperk Castle in every single decade of a 20th century. In case that you own photos of a Vimperk Castle, we will glad if you let us to examine them. If you will give us permission, we will make a scan and add the photo to our collection. It will be you who will then decide if we can publish them. Nothing is going to be destroyed or damaged; you will not lose your photos.